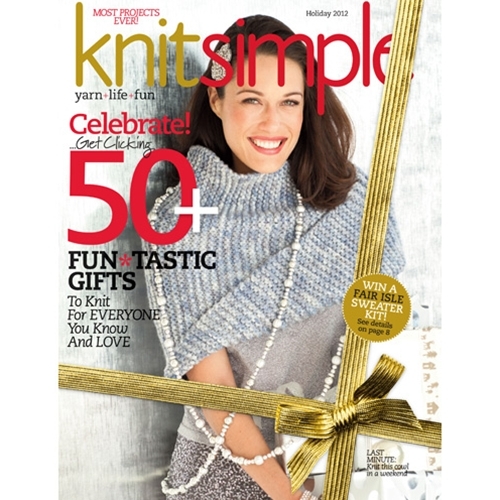 If Santa were a knitter, he'd proudly pull any of these fifty-five amazing knits out of his bag. The best part? These projects stitch up so quickly, you'll have time to make and wrap one for every person on your list--with time to spare. On our book list of yarny tidings: snowflakes, circles, afghans and beaded jewelry; also the perfect fit for little rascals and plus-size women. Join Vickie Howell on her next KS knit-along: a chunky lace neck warmer.